Conor Anthony McGregor is an Irish professional mixed martial artist and boxer born on 14 July 1988. McGregor is the Light Weight Champion and the Ultimate Fighting Championship (UFC) and former Feather Weight Champion. McGregor has also competed as a Welterweight in mixed martial arts MMA. He also did light middleweight in boxing. McGregor is on 2nd rank on the UFC’s pound for pound rankings. McGregor is the only fighter to be champion in two UFC divisions continuously. 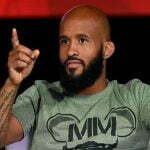 Also, he defeated Jose Aldo former featherweight champion at UFC 194 in just 13 seconds. It was the fastest UFC title fight victory. Furthermore, he also won the UFC lightweight belt against Eddie Alvarez the former champion at UFC 205. McGregor started his Boxing career professionally in 2017. Additionally, he was defeated by Floyd Mayweather Jr. via technical Knockout in his debut boxing match. McGregor is the highest Pay-Per-Review (PPV) draw in MMA history, got headlined four out of the six highest-selling UFC pay-per-view events. His headline bout with Nate Diaz at UFC 202 drew 1.65 million PPV buys. It the most ever for a Mixed Martial Art event. In addition to it, his boxing match with Mayweather drew 4.3 million PPV buys in North America and it was the second highest in history. McGregor almost always engages in trash talk and “psychological warfare” against his opponents and this is the reason which has led to comparisons to Muhammad Ali. McGregor cites him as one of his early inspirations. Conor has two sisters, named Erin and Aoife. Since 2008 he has been in a relationship with his girlfriend, Dee Devlin. Conor Jack McGregor Jr. who is their first child was born on 5th May 2017. 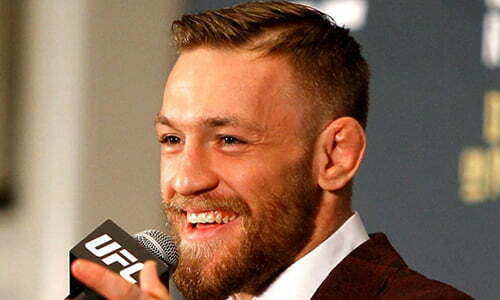 McGregor understands Irish language and speaks it to a certain extent. McGregor often trains at the Mjölnir gym in Reykjavik, alongside fellow UFC fighter Gunnar Nelson. On 20th September 2017, Congressman Markwayne Mullin said that McGregor would be addressing the United States Congress about legal protections for MMA fighters. McGregor is considered to be speaking on behalf of extending the Muhammad Ali Boxing Reform Act which protects the rights of boxers – to MMA. Conor McGregor is not much religious as he’s regularly seen sarcastic and flat out saying he counter it. Many people thought that he was Catholic due to his Irish polite but he shows it clear through Social Platform (Twitter) that Conor isn’t religious. As in one of his tweets, he said ‘I am a born again Christian’ but it clearly shows that it was a funny kind of story. He doesn’t have many discussions about politics. It would show that he would lean additional on the part of an American moderate. However, he has been quite open about gay marriage. Although, he completely supports anyone having the capability to get married to anyone he wants. So, we can safely conclude that he is very broadminded. Conor likes doing origami. Here’s a cassette of him and many origami he has done, YouTube. Also, Conor loves spending money and purchasing fashionable and expensive clothes. Also, he likes to stay fit and very concerned about his looks. He purchases nice suits and does everything which makes him look good in the ring.